Greubel Forsey’s Robert Greubel and Stephen Forsey refuse to accept that there are no more advances in horological design, art and engineering to be conquered, and used SIHH to present an entirely new way of showing multiple time zones with its GMT Earth. 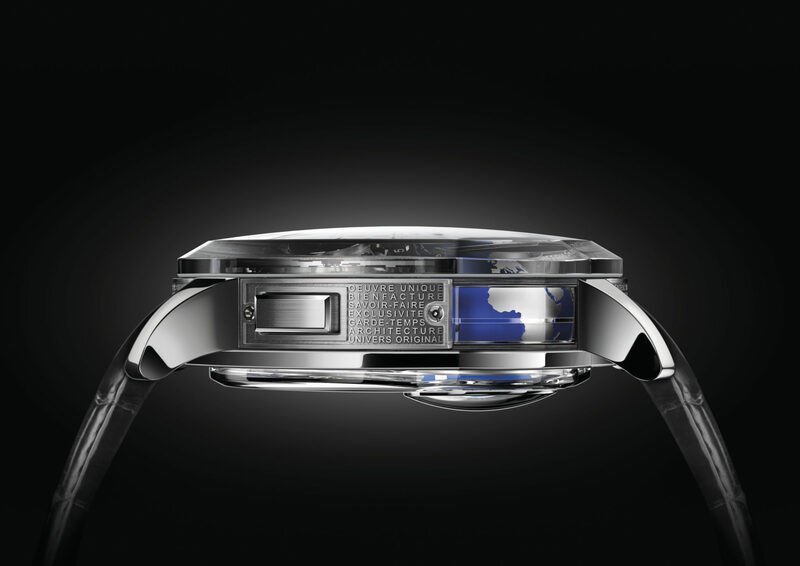 The watch is built around a three-dimensional view of a terrestrial globe, from the North to the South Poles that can be seen from the front, back and side of a white gold and sapphire glass case. The rotating globe is used to give a reading of time in one part of the world, a GMT hand gives another and the hours and minutes and third. There is also a 24 hour time zone indication on the back of the watch with summer and winter times shown for 24 world cities. Completing the front view of the watch is a 72-hour power reserve indicator and a 24 second tourbillon. Only 33 pieces will be produced by Greubel Forsey, a company that will make only 100 watches in total this year. 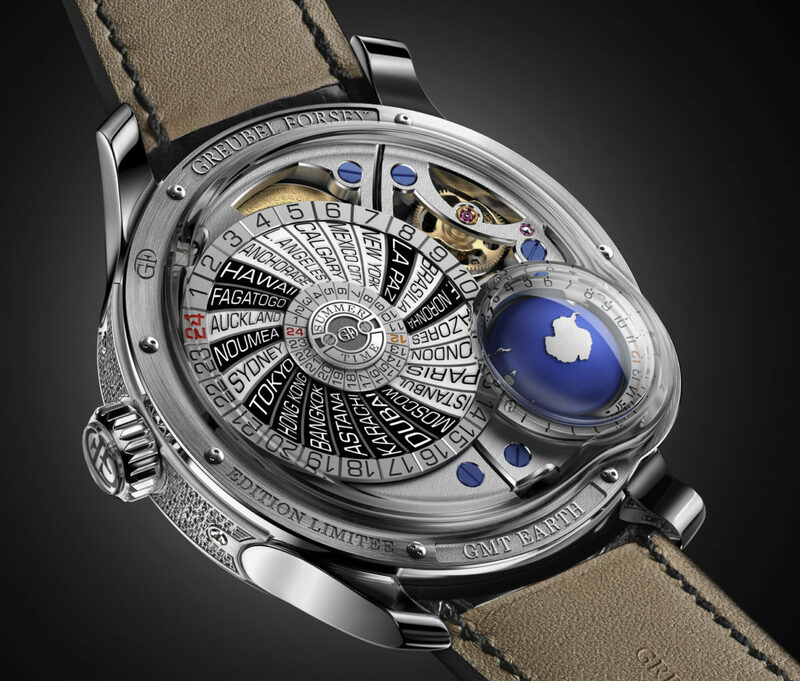 Marcus Watches is the only partner for Greubel Forsey in the UK.